Beyond Nature and Culture. By Philippe Descola. Translated by Janet Lloyd. 2013. University of Chicago Press, Chicago. Xxii + 463 pp. $35.00 (paperback), $65.00 (hardcover). ISBN 978-0-22621-236-4 (paperback), 978-0-22614-445-0 (hardcover). Pioneers in European Ethnobiology. Edited by Ingvar Svanberg and Łukasz Łuczaj. 2014. Uppsala Universitet, Uppsala, Sweden. Uppsala Studies on Eastern Europe 4. 324 pp. $82.50 (paperback). ISBN 978-9-15548-8-444. The Mushroom at the End of the World: On the Possibility of Life in Capitalist Ruins. By Anna Lowenhaupt Tsing. 2015. Princeton University Press, Princeton, NJ. Xii + 331 pp. $29.95 (cloth). ISBN 978-0-6911-6275-1 (cloth), 978-1-4008-7354-8 (eBook). 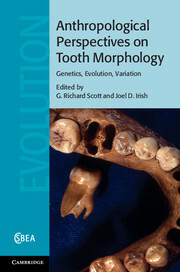 Anthropological Perspectives on Tooth Morphology: Genetics, Evolution, Variation. G. Richard Scott and Joel D. Irish. eds. 2013. Cambridge University Press, Cambridge. Pp. 612. ISBN: 978-1-10701-145-8. 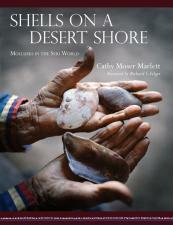 Shells on a Desert Shore: Mollusks in the Seri World. By Cathy Moser Marlett. 2014. University of Arizona Press, Tucson. 304 pp. $75.00 (hardcover). ISBN: 978-0-8165-3068-7. Cannabis: Evolution and Ethnobotany. Edited by Robert C. Clarke and Mark D. Merlin. 2013. University of California Press, Berkeley. 456 pp. $95.00 (hardcover). ISBN 978-0- 520-27048-0. Urban Pollution: Cultural Meanings, Social Practices. Edited by Eveline Dürr and Rivke Jaffe. 2010. Studies in Environmental Anthropology and Ethnobiology, Vol. 15. Berghahn Books, New York. 216 pp. $120.00 (hardcover). ISBN 978-1-78238-508-0. 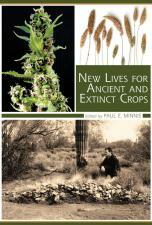 New Lives for Ancient and Extinct Crops. Edited by Paul E. Minnis. 2014. The University of Arizona Press, Tucson. 288 pp. $65.00 (hardcover). ISBN: 978-0-8165-3062-5. Ancient Plants and People: Contemporary Trends in Archaeobotany. Edited by Marco Madella, Carla Lancelotti, and Manon Savard. 2014. The University of Arizona Press, Tucson. 316 pp. $70.00. ISBN 978-0-8165-2710-6.